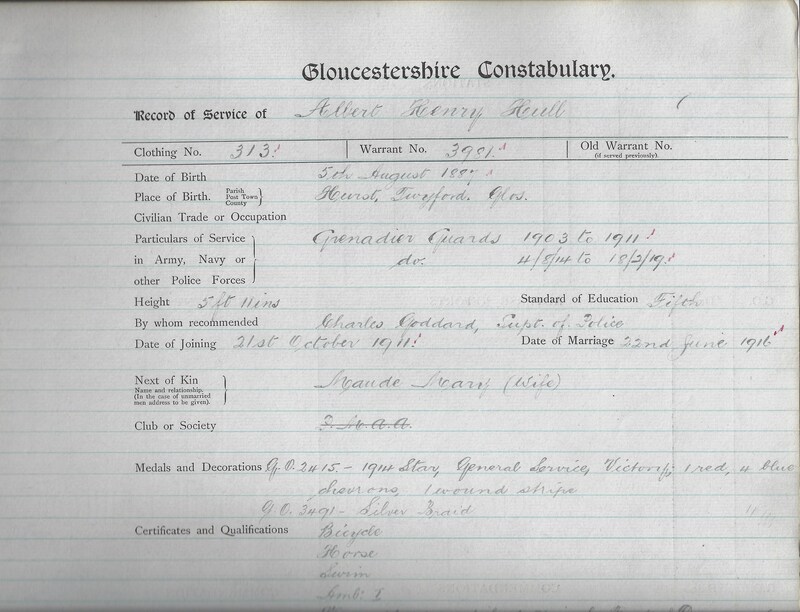 Police Constable Albert Hull joined Gloucestershire Constabulary in 1911 having served in the army. 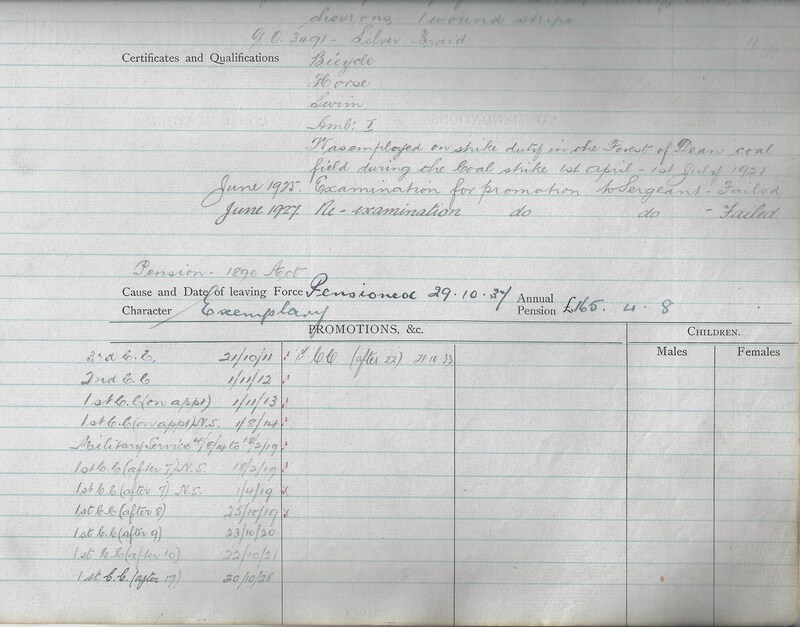 He was recalled to his former regiment on 4th August 1914 and was wounded in 1915 before returning to the Constabulary in February 1919. 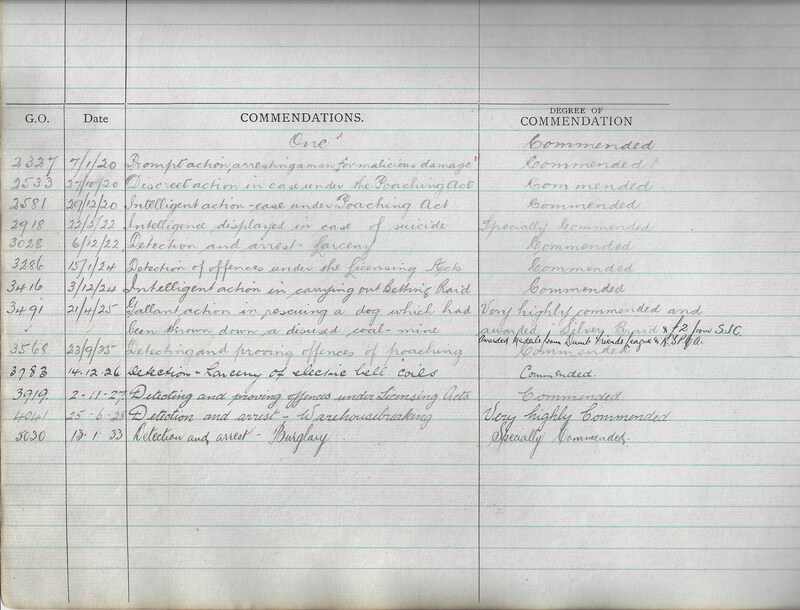 He retired in 1937.
presented to Albert H Hull who enlisted in the Grenadier Guards during the 1914-18 war. 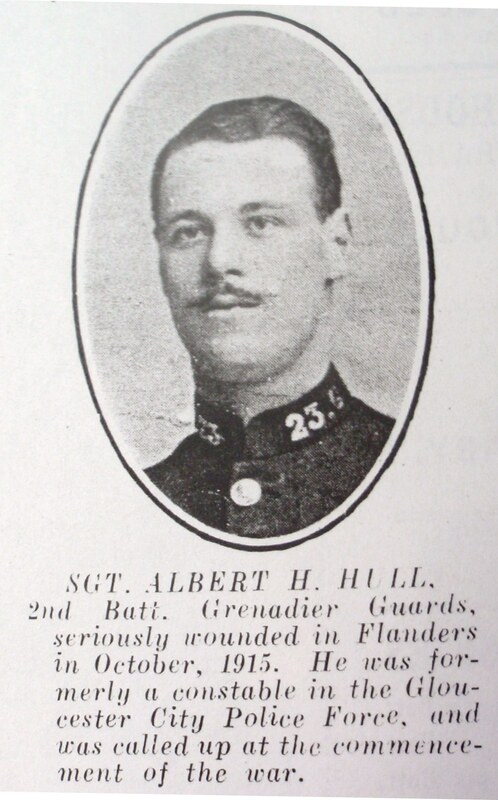 Albert Hull attained the rank of sergeant in the Grenadier Guards. 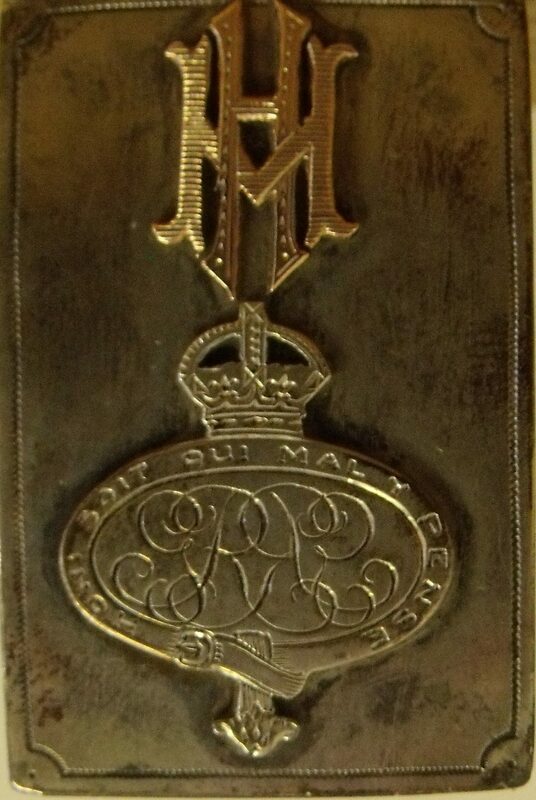 The box carries the badge of the guards and the initials HM. Also on the side of the box is the legend, Made where “CAKE” was unknown. 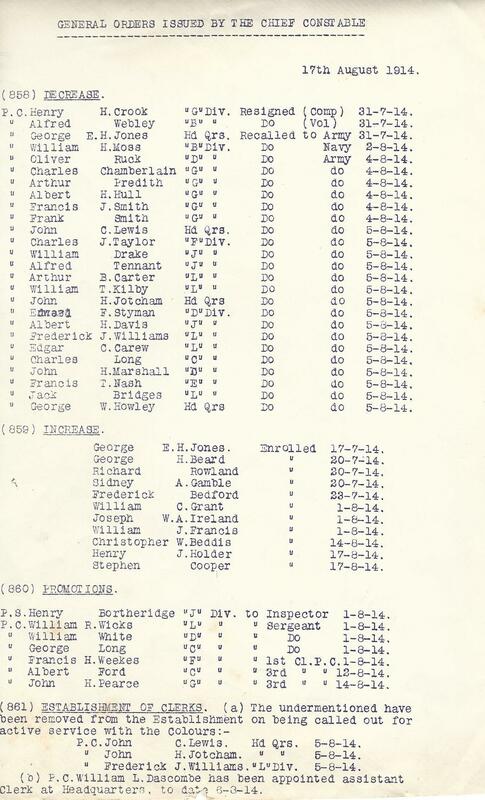 Chief Constable’s General Orders of 17th August 1914 with names of officers called up for war service. 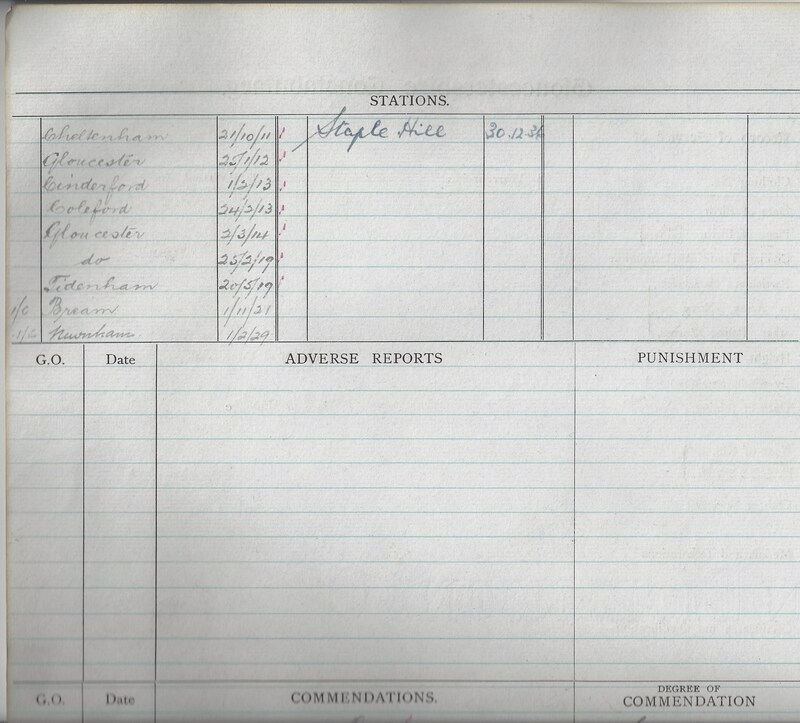 This list includes Police Constable Hull. 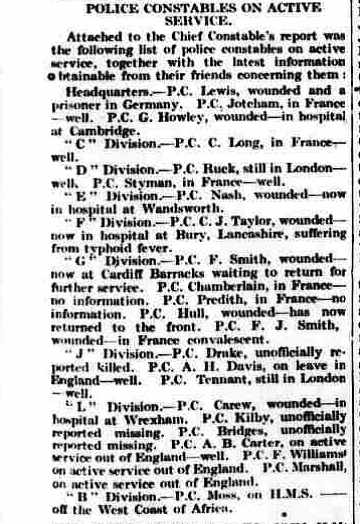 New from the front which includes reference to the fact that Police Constable Hull has been wounded. Police Constable Hull rescues a dog thrown down a pit at Coleford. Police Constable Hull investigating the body of a woman in a well. Police Constable Hull investigating a beggar at Drybrook. Police Constable Hull at the scene of a fatal car crash at Newnham.